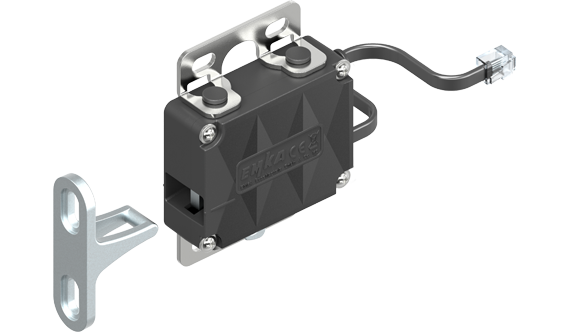 The swinghandle product family Agent E by EMKA Electronics has been specially developed for the use on server racks and enables central monitoring, remote-controlled opening and system configuration. The authentication is performed directly on the handle either by the RFID cards available in the company or via the individual fingerprint. The Agent E is both available as a wired and a wireless version for centrally administered server racks as well as for single cabinets in stand-alone operation. 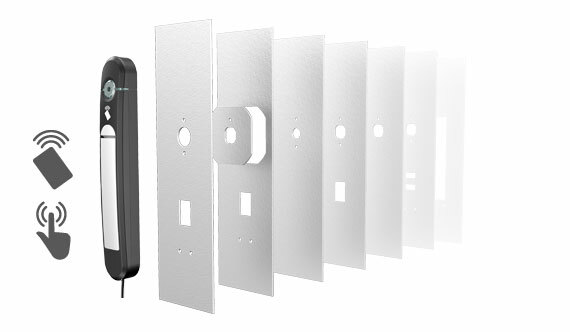 The Agent E Wireless is as yet the only swinghandle based on wireless communication. 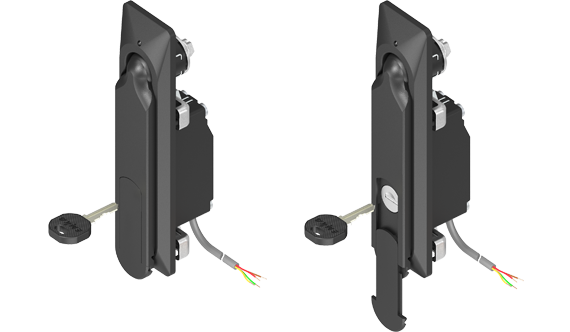 Due to its wireless and thus cost-saving mounting it is most suitable for retrofitting in data centres. The authentication is performed by RFID or fingerprint. Highly-efficient power management guarantees a long battery life. 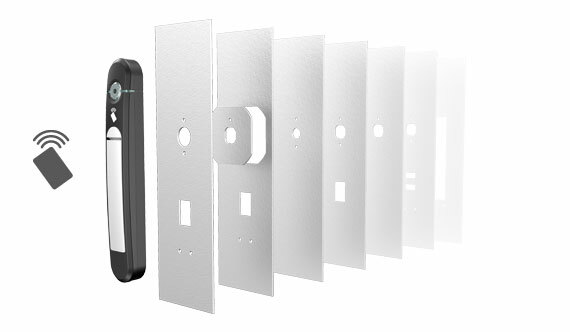 The Agent E Wired is the wired version of the electromechanical swinghandle range. It enables a central and complete logging of events. The personified access is realised securely and conveniently via RFID card reader and fingerprint. 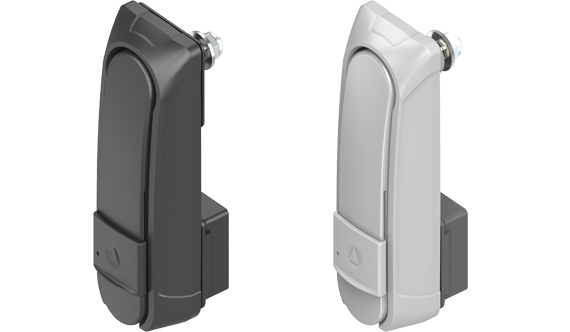 The swinghandle Agent E Stand Alone consists of a battery-driven handle with integrated card reader for 125 kHz or 13.56 MHz transponder cards. Via the integrated USB interface in combination with the software Control Cockpit you can programme cards , delete them, create time profiles or read out the integrated data storage. This handle does not require any external wiring for functioning. 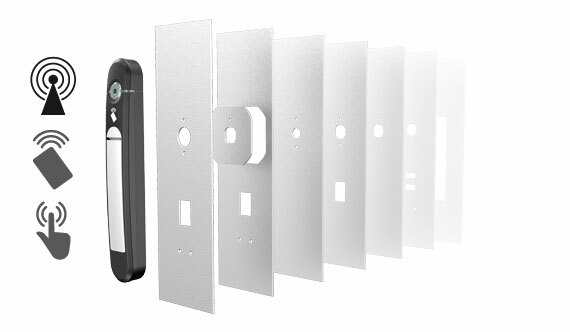 The stand-alone system is a low-cost locking system for applications where no data networking and no remote-controlled monitoring are required. Keypad and handles are available as individual components and as a constructive unit. Authentication via 125 kHz or 13.56 MHz transponder cards or via fingerprint. Emergency power function or emergency opening via integrated USB port. 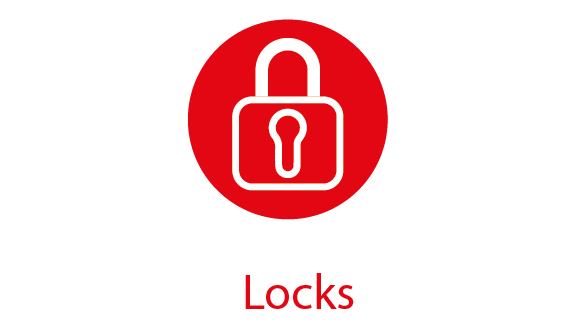 The single point locking is used in special fi elds of application as a lock which is invisible from the outside. This handle is suitable for locking outdoor cabinets. By applying a 12 V, 24 V or 48 V DC signal, the handle can be released. After pushing the handle briefly into the dish, it can be opened. 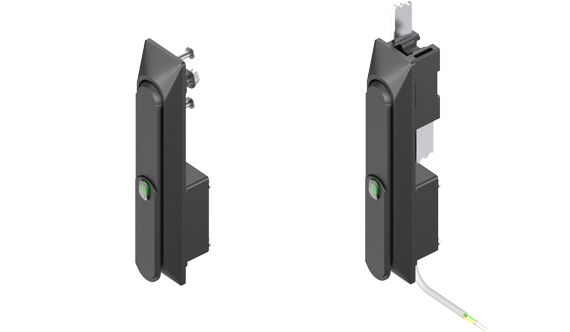 The integrated reed contact serves as remote control of the handle status. For locking the handle has to be pushed into the dish until the lock mechanism latches. The supplied key is used for opening the handle in case of power failure. To open the cylinder cover the screw M3 has to be removed. Then it is possible to unlock by means of round / pin cylinder.